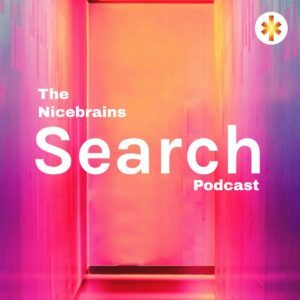 MailChimp alternatives have become very common in the last 3 years. You can get cheaper options with much nicer templates, better user experience, and quick support. In every market, there is always a dominant player. Just like Amazon is dominating the online retail market, MailChimp is the most popular email marketing software. Almost all email marketers have used it. Even if you are currently not using MailChimp, it is likely that you started with it before moving to other software. MailChimp comes with an array of features that you can use to meet your basic and advanced email marketing needs. It is easy to use and comes with different pricing packages but there are a ton of options out there for you. Just because MailChimp is a dominant player doesn’t mean that you have no other option but to stick with it. 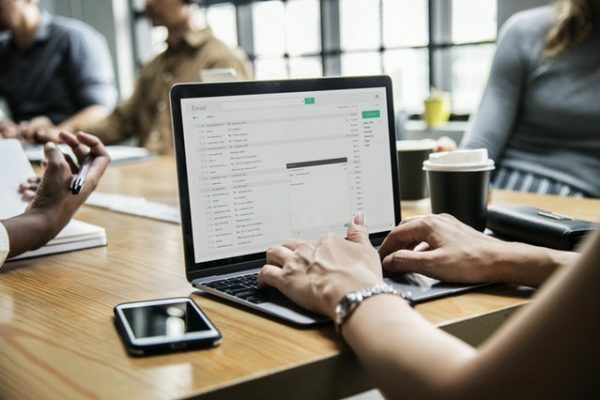 Here are the 7 MailChimp alternatives that you can use to implement your email marketing needs. MailerLite is the email marketing platform designed for everyone, from savvy marketers to part-time bloggers and solopreneurs. They have removed the complexity from email marketing by providing easy-to-use, yet powerful features and exceptional 24/7 customer support with real people always ready to help. Used by over 500,000 small businesses, entrepreneurs, bloggers and artists worldwide, MailerLite provides the same advanced tools and integrations of other MailChimp alternatives, yet they manage to keep it simple and affordable for people of all skill levels. Start your free trial with Mailerlite here. ConvertKit is an email marketing platform built by creators for creators. With easy to embed forms and reporting features, your email list growth will run on automation smoothly. You can create sequences and automated workflows that will make your email marketing content more personal to your subscribers. You can also organize your subscribers based on interests, location, and other data points to get a better understanding of them and send highly tailored content. Start your free trial with ConvertKit by clicking here. SendPulse is more than an email service. You get the added bonus of Web push, SMS and transactional emails for a truly multi-channel marketing strategy. You can use their intuitive drag and drop editor to create responsive HTML emails and increase your open rates by up to 50% by using their AI which automatically determines the best delivery time for each subscriber. You can get started for Free and get $10 off your first payment by registering here. eSputnik is a comprehensive marketing automation platform designed to help you increase your sales and save time by automating your workflow. With superb features like customer journey mapping, an easy to use workflow editor and message builder, you can create beautiful emails with high open rates and finally find out how your visitors turn into buyers. 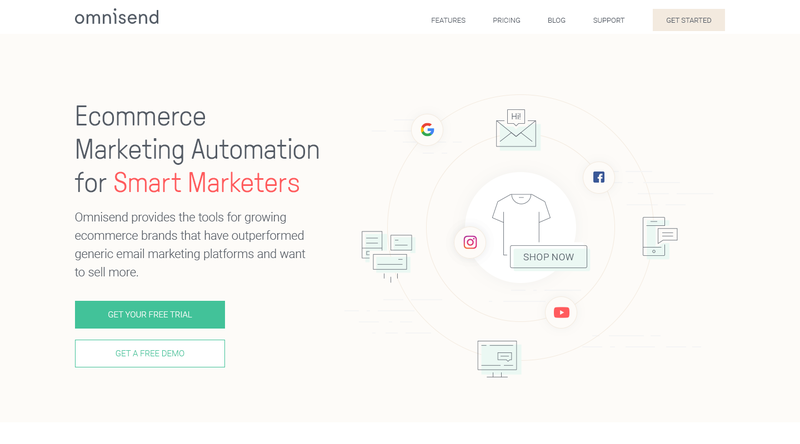 eSputnik is also one of the few email marketing automation platforms that use AI to personalize product recommendations on your website, sends emails at the exact moment each subscriber checks their emails and optimizes email frequency for guaranteed best results. You can start your free trial with eSputnik by clicking here. Omnisend is an e-commerce marketing automation tool oriented toward omnichannel marketing. Using email marketing alone can limit expanding businesses, so if you’re searching for a good MailChimp alternative, Omnisend—with Facebook Custom Audiences, Google Customer Match Sync, automation, segmentation, popups and SMS automation—can be your first choice. Omnisend’s pricing depends on how many subscribers you have in your list, and they also have a free plan that allows you to send up to 15,000 emails each month. And with an accessible drag-and-drop email creator, pre-built (and customizable) landing pages and pop up forms, and 24/7 support, it’s definitely worth a test run. AWeber comes with all the essential features that you may need to execute a successful email marketing campaign. It has an interactive email editor that you can use to create your emails. The software features detailed segmentation options. You can easily group your audience into different segments. It is easy to use and you can navigate on the software with ease. The most distinct feature that separates AWeber from other email marketing software including MailChimp is its interactive mobile app. The app allows you to execute lots of functions such as capturing forms and accessing reports. The Cheapest package of AWeber will cost you $19 per month. With this package, you will be able to send an unlimited number of emails to a maximum of 500 subscribers. Start your free trial with Aweber today! This is a user-friendly software that you can use to implement your email campaigns. It gives users a smooth experience right from the process of creating emails to tracking the performance. It also allows users to perform A/B tests making it possible to predetermine the performance of the campaign. This is a unique feature that is not available on MailChimp. Another unique feature of ActiveCampaign is its ability to combine automation and contact management functionalities. The pricing starts at $17/month which is $7 higher than MailChimp’s least pricing plan. As much as MailChimp is the market leader, it still has some glaring flaws. Some of its features and functionalities may not be able to meet your needs. The good news is you don’t have to stick with it. The above are the best MailChimp alternatives that you can use to achieve the same or even better results. Disclaimer: We make some $$$ at no extra cost to you for referring you when you click on the links in this post. Should also look into MailerLite – pretty decent alternative to MailChimp. Obviously, much smaller player but from functionality standpoint very similar and pricing is very competitive (better than MailChimp) AND they also offer forever free plan. Check it out and let me know what you think. Hey Simon, thanks! I will be sure to do that.